You are currently browsing the tag archive for the ‘Greenway’ tag. This was the Council Meeting. Absent: Clr Phillips. The following is how I understood the meeting & all mistakes are mine. Note: MC = Marrickville Council. The Councillors & Wards are as follows – LABOR: Iskandar/Central, Wright/North, Tsardoulias/West, O’Sullivan/South. GREENS: Phillips/Central, Peters/North, Byrnes/North, Kontellis/West, Olive/South. INDEPENDENT: Macri/Central, Thanos/West, Hanna/South. Exposure Draft Boarding Houses Bill – A representative from the Inner West Tenancy Service at Marrickville Legal Centre said they give free advice for tenants & people who fall outside of the Act: boarders & lodgers. Many Boarding Houses (BH) are unlicensed & unregulated. Estimate of 300 BHs in Marrickville LGA is a significant number of people. The NSW Government is considering a legislative package regarding unlicensed BHs. There are a range of issues about compliance. We try to get a better deal for people who live in quite a marginalized area. We want to endorse the content of this report. We endorse the proposal to increase the regulations. We don’t want this to be a cost-shifting exercise to Council. Clr Kontellis: 300 BHs, we haven’t done more research on this for a number of years. It’s difficult because people don’t disclose. It’s an important submission & by supporting this we have to be prepared to draw a line in the sand. A few weeks ago there was a private DA asking for 8 rooms when using 12 & was unlicensed with this & another BH. I, & Clr Phillips voted against though you all voted to allow him to operate. It should not be all on the side of the BH operators. Clr O’Sullivan: Excellent report. It will be interesting to see the government’s commitment to back up with real money to put it into practice. These people are subjected to the good intent & kindness of the owners & very vulnerable. One of the issues we have will enable us to make judgments & enable expert opinion on their status, which needs special attention. We should look at providing this to our local state MPs. Staff: Department of Ageing & Home Care is from where resources should be made. Clr Iskandar: I remember starting on this 3-years ago when I was Mayor. It is a very good achievement & I am proud of it. Clr Macri: Re Clr Kontellis’s comments – the BH operator operated that BH for 30-years. He stated those rooms were there & MC knew this. The choice of evicting someone from a room where he has been living for 4-5 years is not the way to go. The rooms were 6.5 sq metres. I did inspect the rooms & found people in good spirits & in good camaraderie. I could live there if I was in need. There were no issues from police, no submissions from neighbours. It’s important that we have people like that who do care. Vote – passed unanimously. Sponsorship request from the Sydney Festival & Branch Nebula – To hold ‘Concrete & Bone Sessions’ at Jack Shanahan Reserve Skate Park Dulwich Hill as part of 2013 Sydney Festival, waive hire fees & provide in-kind support. Cost to MC = $13,737. Speaker: The artists are concerned about leaving a light footprint in the park & working with the users in the park. We have appointed a community liaison person. We have a strong reputation of delivery of safe, environmentally responsible fun events. 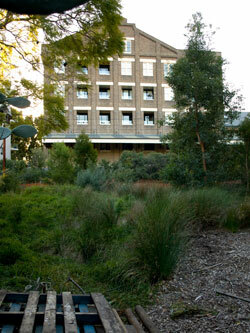 Clr Tsardoulias: Many artists set up shop at Dulwich Hill. This will be a springboard for young artists. I welcome the proposal. 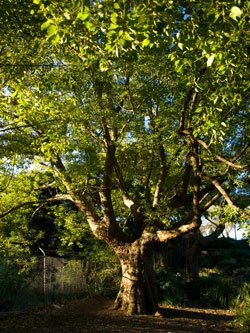 Clr Olive: Exciting for Marrickville to be included in the Sydney Festival at Jack Shanahan Park. It will fit nicely. I’ve been contacted by artists asking MC to stop cleaning the skateboard park as it makes the surface quite abrasive so perhaps MC could leave the art there. Clr Kontellis: It’s exciting & another great example of how MC works with community groups. Vote – passed unanimously. Mayoral Minute – Political posters – Mayor Hanna: The Greens put in a motion to stop any shop putting a sign on their shop. If you like the environment you will vote for it. Like Allan Jones, I want to know. Clr Wright: Unless there are posters on poles, no-one will know to vote. Clr Olive: I won’t vote for it. It lasts 3-weeks. We took ours down in 2 weeks. It’s a democratic process. It will be far more environmentally advantageous if more Greens get voted in. Clr Peters: Greens recycle our coreflutes. Some are 15-years old. Certain parties put up coreflutes for more than 4-weeks before the state election. There is a limit to what political parties should do & they should be pulling them down 2 weeks after the election. Clr Kontellis: This is a celebration of democracy. Posters on poles have to be available. People know who is putting up their hand to represent them. Clr Thanos: I support the Mayoral Motion. I really don’t like seeing the posters on electricity poles for a couple of months. MC should fine them. Last election with Barry Cotter the Labor Party used old ones & people didn’t recognize him. They should be fined if they don’t take them down. Clr Macri: I’ve been approached by people about coreflutes. Why put them up in the middle of the night? Then the Greens come to rip them down & it sounds like Ibis. It’s not a good thing. Mail in post boxes are enough. It’s ridiculous democracy & insulting that people will vote because of a poster on a pole. Mayor Hanna: If you believe in democracy, let a shopkeeper put a sign on top of his shop. People complain to me. Who will pay for the damage to the pole? They are using big screws, which are damaging the pole. This is public property. Vote – For: Mayor Hanna, Clrs Olive, Macri & Thanos. Against: Clrs Byrne, Kontellis, Peters, O’Sullivan, Wright, Iskandar & Tsardoulias. Lost. Mayoral Minute – Pensioner rebates on rates – Mayor Hanna: The pension hasn’t increased since Nick Greiner. Ask the state government to put $500 towards the rates. Clr Thanos: I support. We should amalgamate with Sydney Council who have waived rates for pensioners, especially as the GM is telling us the government is asking us to look at voluntary amalgamation. 20% of our population are pensioners. Clr Olive: I support this. Pensioners do need help, but you Mayor preceded over a 3.6% increase & voted to go to the community for a 6.72% special rate variation & a near 10% rate increase over domestic waste. Clr Kontellis: I’m supporting this. We are entering a world where a significant number of people are asset rich, income poor. Older Greek citizens do complain when they tell me of their 3 homes. Clr Macri: I support. It was poor form of the state government to take this away. If you’ve got 3 houses you are not on the pension. Mayor Hanna: Anyone can if you have less than $120,000 in the bank. We had a Green Mayor in front of me who increased the rates. I’m proud of this Council because we increase the rates the minimum. Carried unanimously. Greenway Reports & Updates – Recommendation that Council notes the significant progress made towards project outcomes, the conclusion of the grant for the Greenway Sustainability Project in September 2012, approves & adopts the Greenway Active Transport Strategy, adopts the final draft Greenway Biodiversity Strategy & endorse placing this on public exhibition & receives the minutes of the Greenway Steering Committee Jun 2012. Carried unanimously. No debate. 50:50 Vision Councils for Gender Equity – “We will work towards increasing the representation of women in local government, both as elected members & senior managers & professional. We will undertake ongoing reviews of policies & practices to remove barriers to women’s participation & to engender safe, supportive working & in decision-making environments that encourage & value a wide range of views. The nominated 50:50 Vision champion be the GM.” Clr Byrne: I am pleased we have done work on gender equity. Clr O’Sullivan: This is a good product on gender equity, including having women delegates. One of the ways the contribution of Councillors can be recorded is through the Meeting Minutes. It will be helpful if the new Council’s Code of Conduct include a note for Chairs – to allow a range of people to Chair the meetings. Males have been Chairs for all meetings for the past 3-years. Very few times women have been recorded seconding motions. This is recorded in the minutes & creates an impression that women who comprise half this Council are not noticed. (This practice is very noticeable from the Gallery – J). Clr Thanos: When you are chairing a meeting you look towards those you have relationships with. Clr Hanna usually has Clr Macri second. When we look at gender equity it’s window dressing. Gender inequity exists within the organization, not necessarily within the Meeting. Clr Wright: Small things count. What Clr O’Sullivan is saying is that, when appropriate & only asking for a greater level of awareness, that all participants at Meetings could be recorded as participating in the Meeting. Small things do make a difference. Clr Iskandar: It’s a very philosophical issue & religious issue. Man, he is, he is, & women, she is second. I’d like everyone to take this seriously. Now the position of women is getting better. There are some religious sects, including Christians studying God’s description & saying she is a woman. We have to work for equity & equality for women. MC have worked very hard on this & we are proud of our achievements. Labor is proud of their 50:50. Greens are the same. Mayor Hanna: I agree & Clr Thanos, I look to the closest one for my seconder. I’m sorry Clr O’Sullivan. My belief is there is no difference between men & women. We had 2 previous ladies as GM who were very successful. We had a first Mayor lady from the Greens. This Council gives credit for this. They take extra leave when pregnant & we all voted for this. If you were Chair, you would look to the closest one. Clr Kontellis: This is Council’s equity program, not equality. There is a difference. In order for women to have equity we need to look at equity. MC’s 50:50 vision is about equity. We want to create more opportunity for women to get involved in the local government across the board. Clr Tsardoulias. I support the motion. (He listed all the women who have reached leadership places in Australia, such as Julia Gillard & Kristina Keneally). Clr Byrne: I think symbolism is very important. I think this is fantastic progress though I do have concerns whether we could be at a high water mark. It’s unlikely that there will be 6 out of 12 women voted in the next election & I’m quite sad about that. The 50:50 vision is so important. Vote – unanimous. 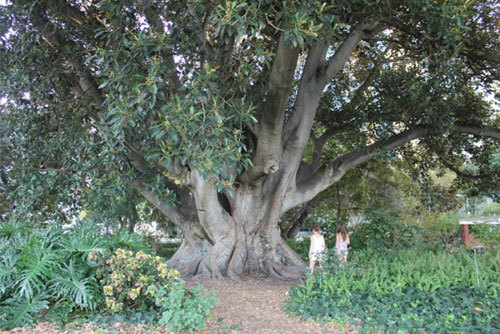 This heritage-listed Fig tree was chopped down for the development of Perth Esplanade. Photo by Leisha Jack with thanks. And down comes a well-loved community & environmental asset. Photo by Leisha Jack with thanks. 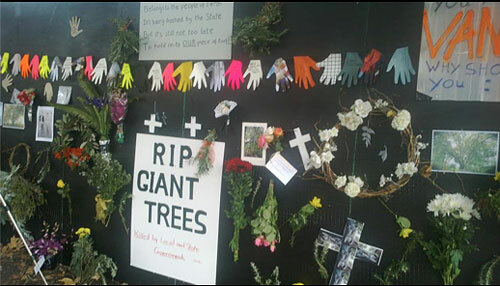 Grief expressed by the community regarding the tree loss for the Perth Esplanade. Photo by Leisha Jack with thanks. 2. 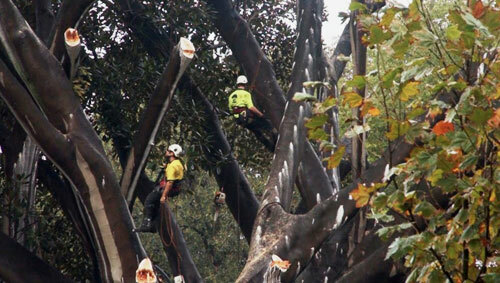 The NSW state government’s proposal to remove the Local Councils from approving development applications, with the only requirement is that the DA conform to the Local Environment Plan (LEP) & if it does, gets automatic approval, is really worrying. “DA hearings, formal objections & debates over contentious developments could disappear under plans by the state government to radically overhaul the planning act.” If this proposal gets approved, it will mean that developers get massive rights over those of the community. This was the Land Use, Assets & Corporate Committee Meeting. Absent – Clrs Thanos & Wright. The following is my understanding of these agenda items & any mistakes are mine. Environmental Assessment for the Inner West Light Rail Extension – A representative from Light Rail spoke saying the plan is open for exhibition & they were very keen to get the community’s feedback. The deadline for submissions to Department of Planning is 15th November 2010. 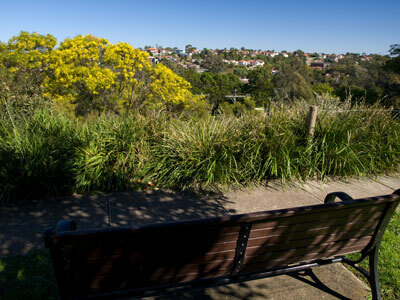 One resident spoke for the EA, but recommended that the Greenway is kept within the rail corridor with no detour & said the residents want privacy screening on Western Street Dulwich Hill. 3 residents spoke against the EA. Their issues ranged from concern regarding the amount of excavation on the cliff face at Bedford Crescent saying it is insufficient to create enough parking, to noise & movement of people across Shanahan Park. They didn’t want the detour from the Greenway along Western Street saying this would cause safety issues between bikes, pedestrians & vehicles. They also said a patronage assessment & noise assessment had not been done. They wanted Waratah Mills Station not be built & Arlington Station carry the commuters for both stations to preserve bush sites within the Greenway. Clr Phillips: amendment – that the Greenway should not be detoured up Western Street. Clr Olive supported & said transport connectivity should be Council’s primary concern. Clr Byrne wanted the absence of a patronage forecast included in Council’s submission. Clr O’Sullivan asked staff what were the implications to the track with rerouting the pedestrian access. Staff advised it was a technical issue of being able to fit all the measures within the corridor. Carried unanimously. Parking for Car Share vehicles – One resident spoke saying he was concerned with fairness in that he paid land tax, yet Go Get paid nothing for car spaces across the LGA. He wanted Council to look into what Sydney Airport charges for parking spaces. He asked that the proposed Go Get space be moved further up towards Crystal Street & away from the hotel saying if the space remained where Council suggested, the community would lose another parking space in an area where they are in short supply. Council has recommended that the Car Share space be near Petersham Railway Station on Terminus Street. Clr Phillips: recommendation – for staff to take on the residents comment. Clr Hanna said as Go Get was a private company that had 11 spaces for free for 10 years, it was time to start charging, suggesting $10/week. Clr Byrnes said Council gives space to many companies such as taxis as they provide a service to the community & 1 Car Share space removes about 10 resident cars from the roads. She said Car Share hasn’t been able to be part of the Resident Parking Scheme & council was trying to address this. Clr O’Sullivan supported the recommendation & gave notice of a foreshadowed motion saying these issues need to be included in the parking studies that are about to commence. Clr Macri supported the concept of Go Get vehicles getting support when they started, but now that they need many spots he thought it was only fair that the company contributes to the area. Clr Olive said he met with Go Get & Marrickville Council was lagging behind other Councils & Council should support the Car Share companies. Clr Phillips said that Council should look at charging in the future, but not now while it is still in its infancy & relieved pressure on parking. Carried. Clr Hanna against. Clr O’Sullivan: motion – Council Officers to co-ordinate advice on business parking on policy advice as a component of 1st or 2nd tranche of parking studies. 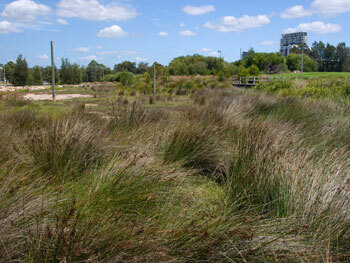 Clr Hanna thought this was a waste of staff time & Council’s money. Carried with Cls O’Sullivan, Tsardoulias, Kontellis, Byrne, Iskandar & Phillips for. Against Clr Olive, Hanna, Macri & Peters. Clr Macri: Item without Notice – wanted a report on charging a nominal fee for Car Share spaces to assist LATMs. He said Council has a nominal fee for hall hire & it creates a sense of ownership & community. The cars also cause LATM matters & if other companies come on board, Council will be inundated. He also said the LTM needs to be funded. Clr Peters said that until Council looks at parking meters, they can’t look at charging this kind of company. Clr Hanna said he was not against the companies, but was against a business getting this for free. Clr Byrne didn’t support the motion as charging for the space is privatization. Clr O’Sullivan supported the motion as a report will advance the debate & provide answers. Clr Olive didn’t support the motion saying we have a well-funded LTM report now & this is a fledgling industry. Clr Marci asked staff whether car spots were dedicated to Got Get or could other companies use the spaces. Staff said they need a dedicated space, & if more come in, Council would need to provide more parking spaces. Clrs Phillips, Byrne, Olive, Kontellis & Peters against. Clrs O’Sullivan, Macri, Hanna, Tsardoulias & Iskandar for. Clr Kontellis used casting vote & motion defeated. I will post on the Services Committee Meeting tomorrow. The issue was an interesting one as it was about the street art in May Lane St Peters. First up was the Land Use, Assets & Corporate Committee Meeting. Absent: Clrs Hanna, Peters, Thanos & Iskandar. Mayor Iskandar was reported as ill so I wish him a speedy recovery. As usual, the following is how I understood the meetings & all mistakes are mine. without setting a precedent for future meetings. 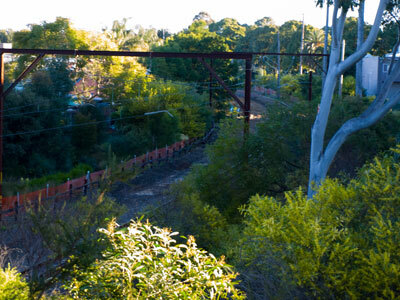 Essentially the residents were concerned about the location of Waratah Mills Station, the location of the Interchange, the Greenway & the cycle route when it is diverted out of the rail corridor as well as security, noise & privacy issues with the Light Rail. They wanted the Waratah Mills Station to be relocated around 200 metres south to Terry Road & Hill Street Dulwich Hill saying this was a better site. They wanted Arlington Station deleted altogether saying a lesser number of stops will make the trip faster. They were concerned about loss of privacy & wanted the Transport Authority to erect privacy screening such as hedges & walls to stop passengers looking into their homes. They were also concerned about the detour of the cycle-way down Western Street as they thought they would lose parking & the cyclists would create noise. Western Street was described as “deathly silent” & “cyclists will have a huge impact on residents” especially as there were no time restrictions for using the Greenway. They said Fred, Little & Nelson streets all enter into the rail corridor so moving the station would minimize the residential area where cyclists will need to travel on residential streets. They suggested the Greenway not be interrupted half way through its 5km length by the cycle-way detour, that a bridge be built over the canal for cyclists & rail tracks be moved sideways to facilitate room for the Greenway to remain in the Corridor with the cycle-way. They also suggested that the Dulwich Hill Interchange in Bedford Crescent was at the wrong location & instead should be at the end of Keith Lane. There was concern about noise & vibration from passing trams as well as visual impacts such as power poles & loss of trees. Loss of width of a pathway, parking problems & loss of access to the Greenway were also mentioned. residents would be spoken to regarding what they want for privacy measures. He said there was no intention to remove parking spaces from Western Street for the cycle-way & that the Interchange was supposed to make the connection between light & hard rail easy. He spoke with the residents informally outside the Gallery for at least 40 minutes after their issue had finished & they were still talking when we left. Clr O’Sullivan wanted to add to Council’s recommendation to write to Transport NSW that residents have concerns such as privacy & safety & have suggestions such as relocation of Waratah Mills Station & Dulwich Hill Interchange. Clr Phillips supported the recommendation & amendment saying it was amazing that Councillors were talking about issues of detail rather than whether or not the Greenway can remain. He was not in favour of moving Waratah Mills Station, also saying he needed to make sure the Interchange at Dulwich Hill worked. Clr Olive wanted the amendment to include that Council notes there were concerns raised by the community. Carried. Council Investments until 30th June 2010 – Council has a total of 60,953,389 held in various non-land/building investments. 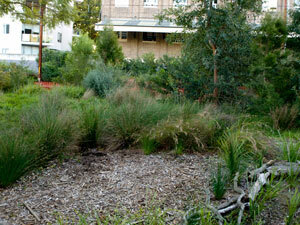 Clr Byrnes was pleased that the investment in the Local Government Ethical Facility was retained. Carried. Local Traffic & Planning & Advisory Committee – Clr O’Sullivan made an amendment in Section B & C – with the exception of C4 which concerned community shuttle bus services using State Transit Authority bus stops as many members of the community rely on these services. Carried. Rescission motion re the proposed parking management study – Clr O’Sullivan put up a motion to defer because Mayor Iskandar was absent. Carried. This meeting finished. Next was the Community Services Meeting. Proposed establishment of a Sports Advisory Committee – Clr Kontellis said that setting up a committee for current users of our fields to advise Council how to use our own fields made her uncomfortable. She asked the Director whether the Terms of Reference had been developed. Staff said they were broadly agreed upon, but would be refined when the panel was formalised. Clr O’Sullivan put up an amendment that no Councillor should sit on the panel, the stakeholders should advise staff who would then prepare a report so the Councillors could make a decision. The stakeholders are there to vie for Council’s resources, not to tell Council what to do. Staff said they hoped the panel would help each group develop an understanding of other sporting groups needs, to ‘inform the process,’ rather than ‘be the process.’ Clr Wright thought ‘advisory’ gave some sort of status to the panel & thought ‘forum’ would be better. She also suggested a 12-month trial. Clr Tsardoulias said there must be a Councillor on the panel. Clr O’Sullivan said she was against the recommendation as the paper doesn’t explain the Terms of Reference & should be chaired by senior management with Councillors invited to attend. Staff suggested the forum be established & reviewed as to its efficacy in 12 months. Carried. 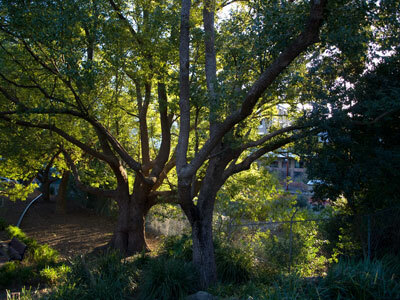 Denison Road Playground – Clr Phillips asked whether Council could have a community garden on a contaminated site & whether decontamination would be costly. Staff said they would be building raised garden beds & the costs are surmountable. Said the contaminants are coal & coal products from fires & dumping of ash products from household fires in the past, lead & benzoate pyrine. Carried. Meeting ended. Land Use & Assets Committee Meeting & the Services Committee Meeting. Absent: Mayor Iskandar, Clrs O’Sullivan, Kontellis, Hanna & Thanos. The sound was almost perfect & the gallery could hear well. It was wonderful when the minutes were made full-screen as this allowed the gallery to read what was being recorded & keep up with what was being debated. Thanks for that as well. As usual, all mistakes are mine. The DA for the old Marrickville RSL site on Illawarra Road was postponed until next week’s Council Meeting. As Clr Macri is a member of the Joint Regional Planning Panel he has a conflict of interest in the item. He would have to absent himself, which would leave insufficient Councillors in attendance to make a quorum. 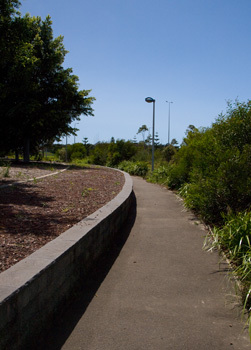 has 2 options for the route from Victoria Road Marrickville to Cooks River path at Mackey Park. In Fitzroy Street they plan for either a bike/parking lane or a protected 2-way cycle lane, which will result in loss of 62 parking spaces. In Carrington Road they plan to have a 2-way cycle path losing 17 parking spaces. This will be exhibited for public consultation. 2 residents from Fitzroy Street spoke against the proposal saying 20 residents had met regarding the plans. Issues were: loss of parking, high volume traffic, parking needed for businesses, Marrickville Bowling Club & residential housing. They said Sydney Street had lots of double-parked trucks, as there were no off-street loading docks & the gutter was 3-4 feet deep in water when it rained. They suggested a shared pedestrian/bike footpath instead. Clr Olive moved to defer & take back to the Traffic Committee who should consult with local bike group MASSBUG, saying problems could be fixed before the plan was exhibited for public consultation. He outlined a number of suggestions for other areas along the proposed route. Clrs Byrne, Phillips, Macri supported the motion. Clr Tsardoulias said he wouldn’t as these issues could be dealt with after community feedback when the plan is exhibited. Carried. for Yule Street saying she has been in contact with Council for 3 years regarding speeding traffic & although assured this would be addressed, found that no traffic calming measures have been included in the new plans despite Council acknowledging vehicles speed 7kms above the limit here. She said there is a bike path here & 2 schools nearby & the street needed traffic calming devices. 2 residents spoke about the round-about at Ewart Street. One brought in a large diagram that allowed her to clearly show the multiple problems facing this pedestrian crossing. They said large numbers of children use this pedestrian crossing to travel to 3 schools, a local park & a nearby skate park & it was a very dangerous crossing. The community wanted Council to install speed cushions at all 3 entries to the round-about, add signage, flashing lights, warning bumps & a raised marked zebra crossing. After discussion about the cost of raised pedestrian crossings & issues of roadside drainage, the Council will look at meeting the requests of the community regarding the pedestrian crossing & the round-about on Ewart Street & to install angle parking & other calming measures in Yule Street. Camden Street Enmore – request to reduce length of ‘no stopping’ zone – A resident spoke saying this is a high traffic street with lots of congestion & regular gridlocks. He said there was no community consultation & Council’s recommendation does not address safety issues. Clr Wright moved to defer for community consultation with a view to making Camden a 1-way street. Clr Olive was concerned as he thought people drove faster in 1-way streets. Carried. overall consultation process “was appalling” & his local Member has not responded to his communication. He was very concerned about the placement of Waratah Station as the platform is 15 metres from his back garden & worried about noise, loss of privacy & security, increased traffic especially ‘kiss & ride’ traffic. He said there were 3 stations in close proximity to each other & the Greenway detour should go along Victoria Street instead. Clr Wright said Council didn’t made the decision where stations would be placed & put forward a resolution to ask the state government whether there is a need for so many stations in such close proximity & ask them to revisit the bike path between Davis & Canterbury Road to see if it can be kept within the light rail corridor. Carried. Proposed Parking Management Study – Council recommended a budget allocation of 300,000 to undertake a LGA-wide parking study, the money to be taken from Section 94 reserves & Car Parking. Clr Wright was against waiting for the study & thought work should be done in areas so Council has results. Clr Olive was against spending so much money on a parking study. He asked that raised pedestrian crossings be the standard in Marrickville LGA & the feasibility of this was discussed at length. 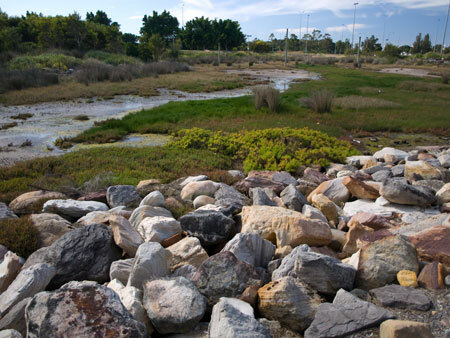 Essentially, the cost of raised crossings can be significantly higher if storm water drainage is not in-situ. Outcome was that raised crossings is the preferred model & done where costs aren’t prohibitive. Carried. Sale of part of Crescent Lane – T.J Andrews Funeral Services wanted to buy part of the lane for parking of funeral cars & the organization of corteges. The area has been fenced off & inaccessible for more than 20 years. Carried. All other items carried without discussion. Meeting ended. Next was the Services Committee Meeting. willing to renovate the building for use as an artists studio/gallery, performance space, general community facility, including place of worship. Clr Olive wanted Council to prepare a business plan to take over the building for use as artist studio space for rent & to do this concurrently while seeking expressions of interest. Staff advised it would be poor practice for Council to take this approach. Clr Wright wouldn’t support doing this concurrently, but would support if no suitable expressions of interest were received. Clr Peters noted the many discrepancies in costing assessments in the repair quote. (The last quote was $2.288 million) Clr Macri said the plan for Council to spend such a large amount of money for 30 artists to pay rent “revolted” him & he would put up a rescission motion if it got up. Carried. Clrs Macri, Wright & Tsardoulias against. Henry Tax Review & Housing Affordability – Clr Macri said he didn’t believe some of the factors in the report saying he thought it was due to a lack of supply & there wasn’t a need for a broadbase tax. He said some of the aspects in the report will remove incentive for people to invest in rental housing. Clr Phillips disagreed with Clr Macri saying there were many other factors such as stamp duty which stops older people from moving into smaller homes, that the current taxation was encouraging people to become 1st home owners & the answer was not to pull down heritage buildings & erect apartments. Carried with Clr Macri against. This is the end of this week’s report. The Land Use, Assets & Corporate Committee Meeting & the Service Committee Meeting was held on 13th April. I stayed only for the first meeting. Councillor Thanos was absent. The following is my take on the meeting & all mistake are mine. 1. Local traffic planning – 2 issues were discussed in detail. 3 residents addressed Council regarding a development affecting Wilford Lane Newtown. Link Construction Group Pty Ltd are constructing a building at 63 – 71 Enmore Road Newtown. The speakers complained about a heap of problems such as noise, dust, multiple incidents of damage to private property, potholes, rubbish, blocking of access & abuse from builders. A privacy wall that the DA said was to remain was knocked down & not replaced. Also contrary to the DA a green space was removed. 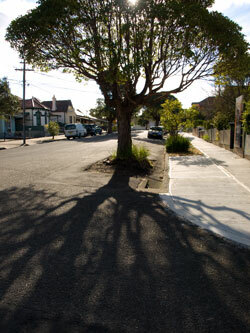 3 metres of land that was reclaimed by Marrickville Council was paved over, making it appear to be private rather than Council property. The developer has been fined 10 times at a total of $30,000 & the residents say that Council could be booking the builders for violations on a daily basis. Chair Clr Mary O’Sullivan said this was an acute & serious issue & all Councillors mirrored this sentiment. They will meet asap with residents & bring back the results to the next Council meeting. 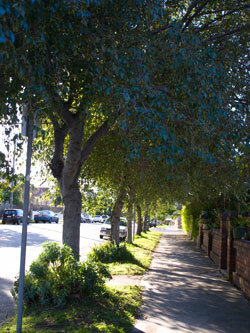 In the second issue a resident spoke passionately against allowing a request from the Roads & Traffic Authority (RTA) to Marrickville Council to give them a substantial parcel of Sydenham Green for The RTA to create another lane on Railway Road Sydenham heading towards the intersection of the Princes Hwy. The RTA say the extra lane will make it easier for trucks & other vehicles to leave Railway Road & enter the Hwy. Of course it will, but it will also encourage more trucks to use this route through Marrickville LGA. The resident who spoke said as far as he was concerned, there was too much traffic & far too many trucks in this area. The area of land the RTA have their eye on is from the Princes Hwy to the Coptic Church built in 1884. 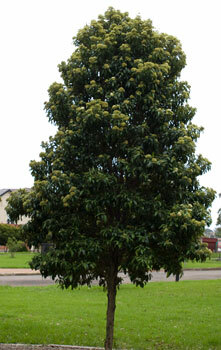 13 healthy trees on park land would need to be chopped down. Councillors voted to deny the request from the RTA. 2. The Metropolitan Strategy Review 2036 Discussion Paper was briefly discussed. This is a large document, which I have yet to read. 3. Metropolitan Transport Plan – Most discussion concentrated on the Greenway. 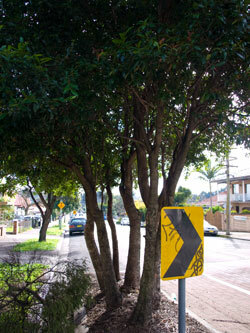 Marrickville Council is concerned that 55% of the Plan’s budget is for road infrastructure. Council thought it would be better if only 20% of the budget was directed towards roads with the remaining 80% directed to walking, cycling & public transport. 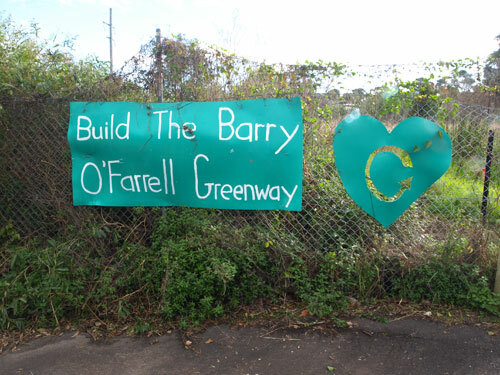 The Greens wanted an amendment that called on the state government to ‘guarantee’ a bike-path in the Greenway corridor. The plans do not guarantee the bike path, as a lot depends on whether the light rail is 1 or 2 tracks. Clr Wright did not want to impose conditions that may impact on how light rail works. After debate that centred on using creative engineering around ‘pinch points’ the motion was amened to ‘consider inclusion’ & this was carried unanimously. 4. Greenway Steering Committee. The Mayor & Deputy Mayor will attend as representatives for a period of 2 years. 5. LGA wide Parking Management Study – The issue was to employ a consultant for $300,000 to do a study on parking across the LGA. 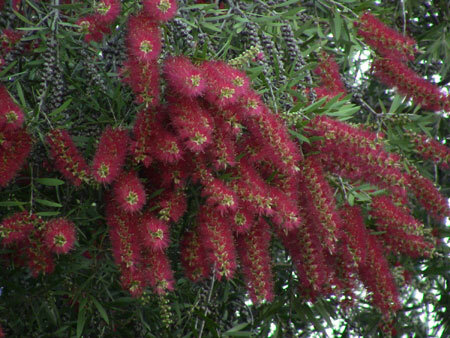 The Greens were against both the study, saying that Council cannot afford $300,000. They said there are already areas which the council knows needs work done & it would be better to start fixing the problems than paying that money for another study. Clr Phillips suggested using Section 94 money to fix known problems. A staff member advised that Council has already collected funds for parking including on-road parking. As I understood it, the other Councillors although concerned at the amount of money, were interested in learning what the study came up with. The outcome was the Councillors would be briefed on parking matters. They would look at using Section 94 money as an alternative to a consultancy report & look at previous parking proposals that have been considered. The decision to employ a consultant has been deferred. My fear is that Council will go they way of Leichhardt Council & bring in metered parking because it is a phenomenal revenue maker & could be attractive to a council which has severe financial problems. 6. 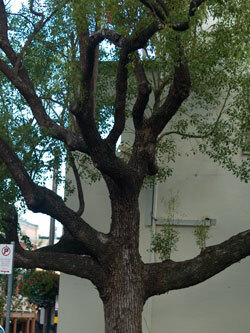 Re-establishing alcohol-free zones – Clr Tsardoulias put forward an amendment to remove Alex Trevallian Plaza (next to Post Office Café on Marrickville Road Marrickville) from the proposed list of alcohol free places because a Thai restaurant which fronts the plaza will have outdoor eating & wants to be BYO. The General Manager said they would allow the restaurant to serve alcohol, so Councillor Tsardoulias withdrew his motion. The Greens concerned about the associated increase in police powers that result from such measures. Public consultation will be done regarding a number of locations along Marrickville Road shopping strip, side streets, Calvert Street car park, Sydenham Green & other locations in Sydenham. There ends Report from the Gallery for another week.